diffuser in handblown double layer artistic glass obtained by succession of glass molding, frosting, sandblasting and acid etching techniques. base in technopolymer and steel. 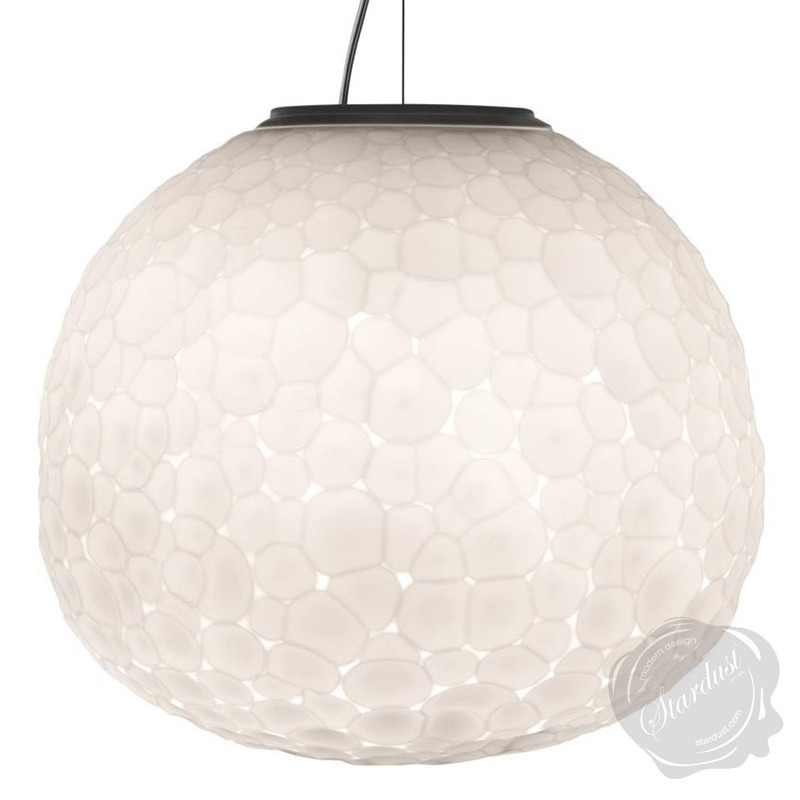 dimmable (dimmable bulb required). 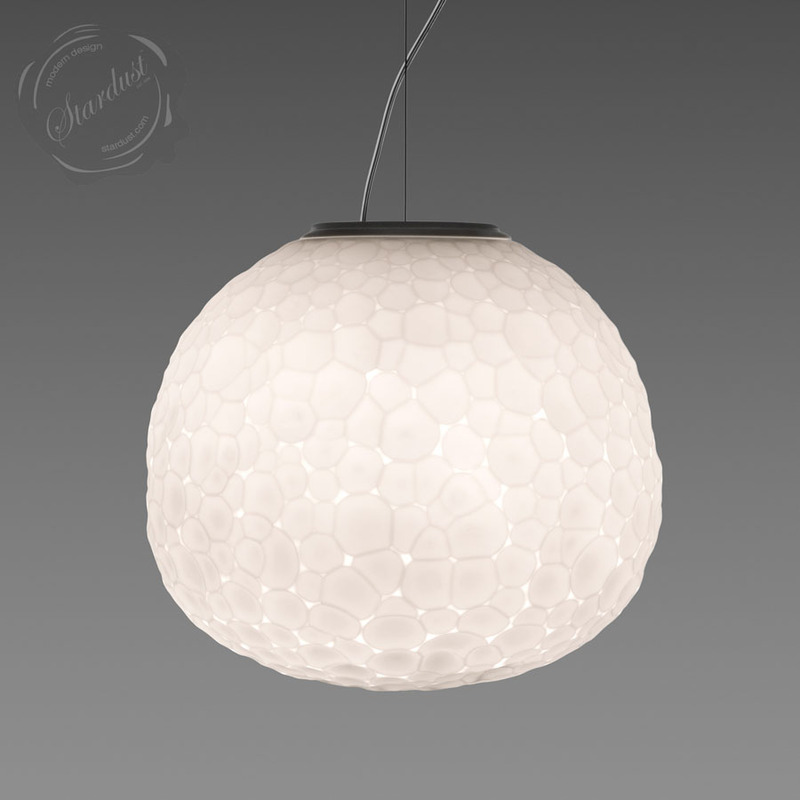 meteorite originates from the pursuit of a new sensibility, a new expressive language for lighting blown-glass. the starting point was our fancy for venetian beaten glass, for the grinding effect, and for the strong charm of the unfinished feel that such kind of process brings to glass. we designed a special glass-blowing and grinding process, which allows to obtain impressive lighting depth in the illuminated object, and to make this beauty accessible or – we might say – democratic. ” pio e tito toso. a family of lamps comprised of four different types, with a double-layer artistic glass diffuser obtained by means of the craft still glass blow moulding technique followed by frosting. 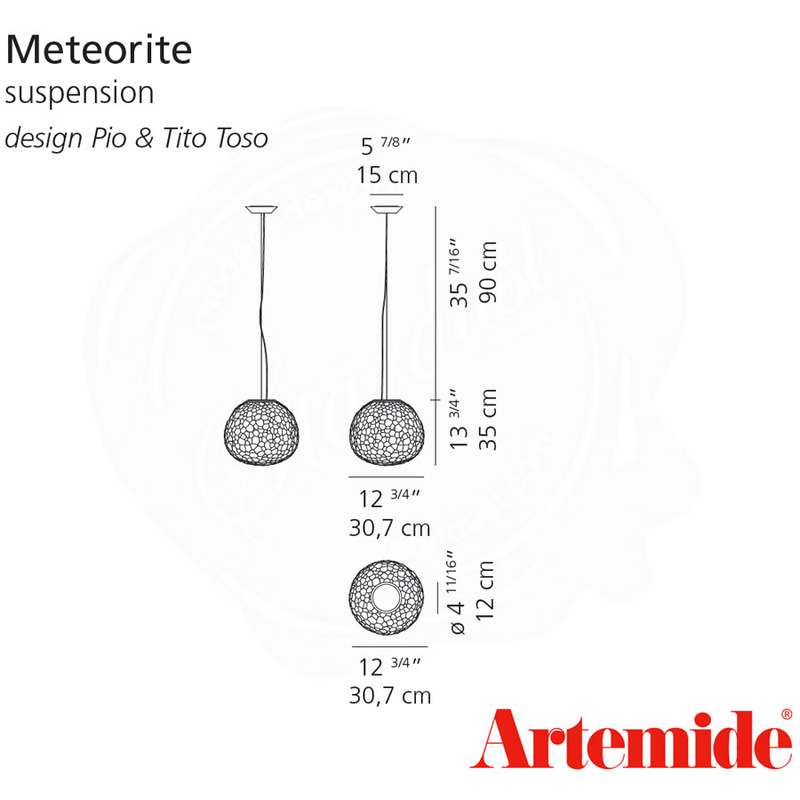 meteorite is a creation by pio & tito toso who love to work with light. light can have endless variations, paints the world with its nuances. 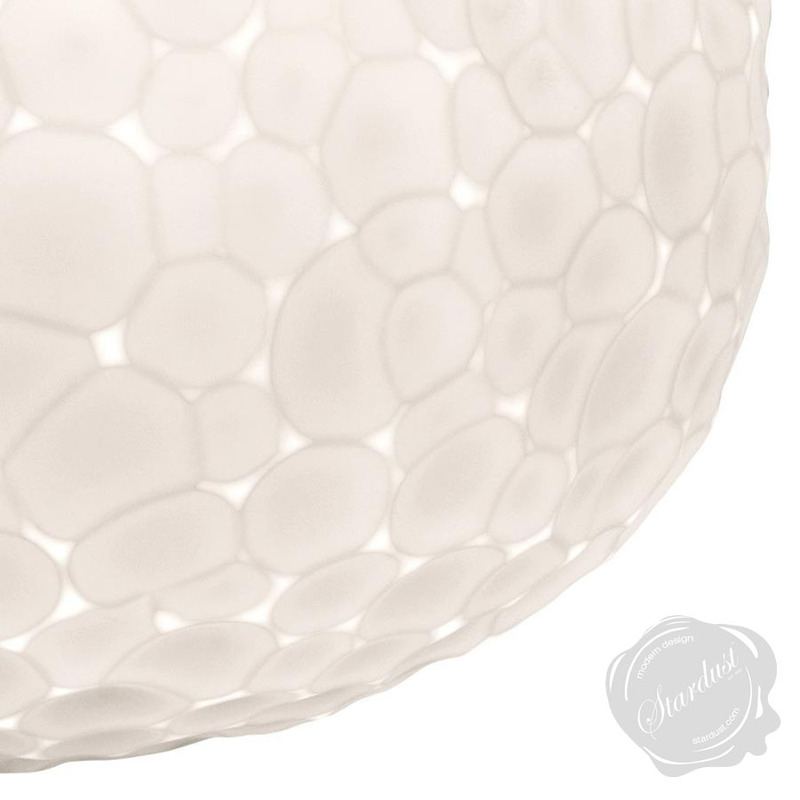 the designers' research leads us to blend a strong poetic flair with the best possible light comfort. a work suspended between rational human thinking and the true, spontaneous, beautiful poetics of nature!